Just joined the Bevel heads list and found your site. 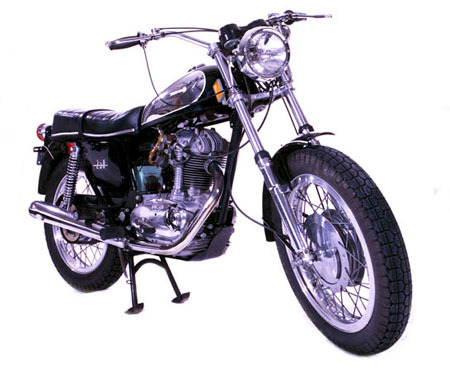 I thought you may want to post my 72 Ducati 250 Scrambler Mototrans in the Singles area of your gallery. The bike is all original from what I can tell with 3200 miles on her. This is my wifes ride. I have a 69 350 SCR that I recently bought and need to do a few things to, like get spark!!! ps, know anyone with a wiring harness or good diagram for a 350 SCR.